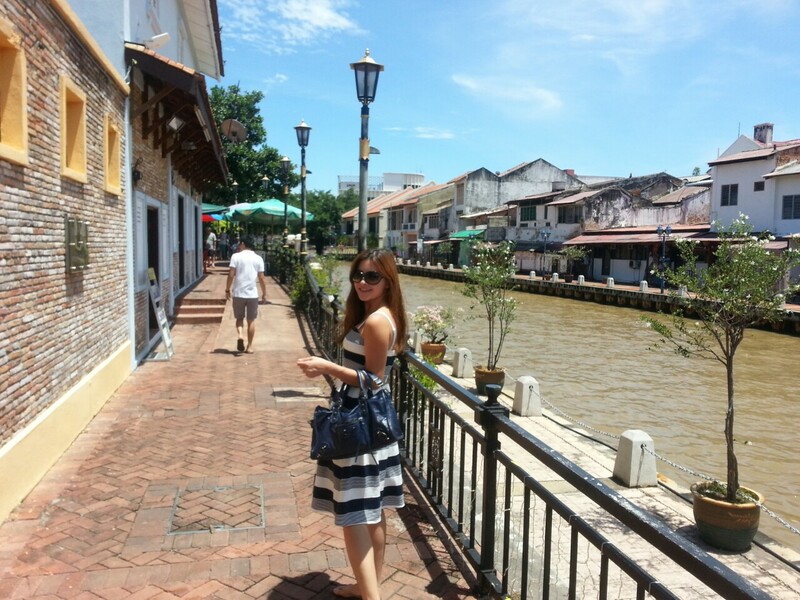 Last week , i went to Malacca again with Oppa , Jiaying and her BF. It was my 2nd trip to Malacca this year and the first time as a double date. I love the food in Malacca. Nothing to shop there but just eat and eat and eat. Even my friends were amazed at my bottomless pit. 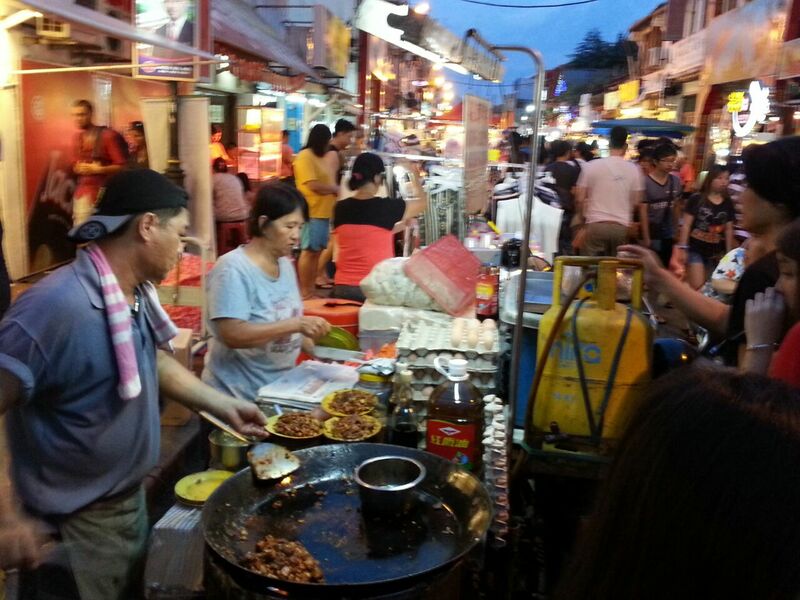 I want to buy every single street food i saw. 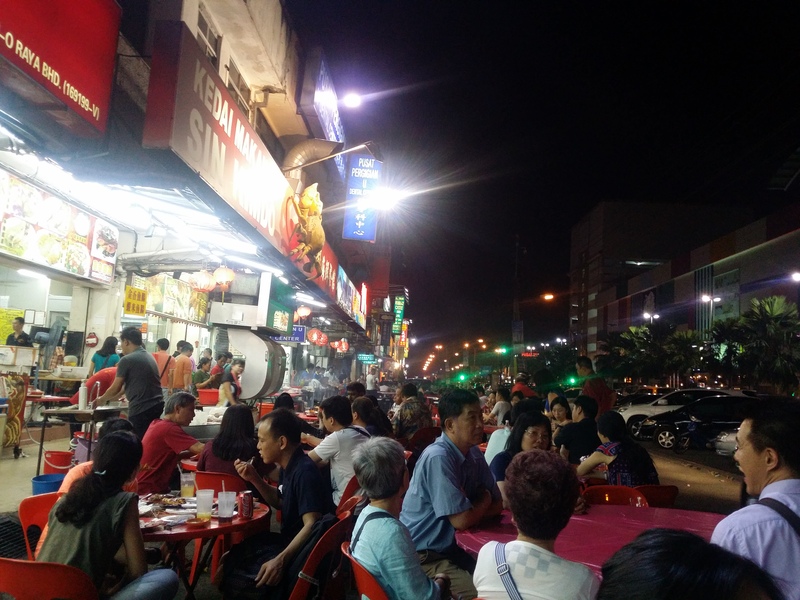 Before we drove to Malacca on Thurs evening , we stopped by Pontian in JB at a famous tze char stall for dinner. We had hot plate doufu , prawn paste chicken , 4 plates of rice , sambal kangkong , cereal prawns and one more dish which i can’t remember. We ordered large size for all and it was only MYR96 which was about SGD 34 . So cheap and yummy ! This will probably cost about SGD 80 because of the tiger prawns if we were to eat it in SG. I think i need to change more ringgit because i guess i will be heading there often for seafood and shopping at Watsons and Sasa. After our dinner , we drove to our hotel in Malacca for a good night sleep. Woke up at lunch time the next morning because we all arrived in Malacca at about 1am. We queued for the chicken rice. 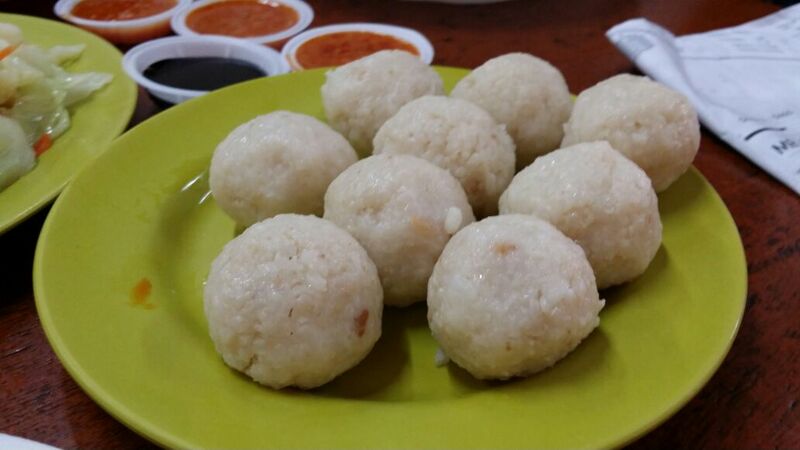 I don’t really like the rice balls because i find it too mashy. Prefer the normal rice plate. 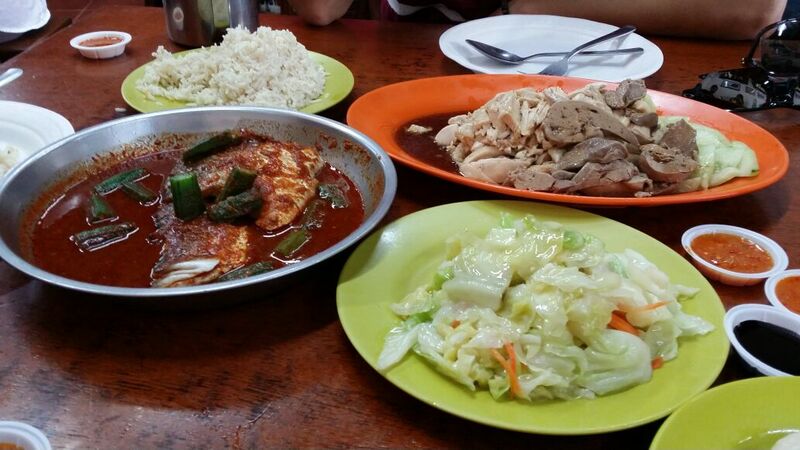 Chicken was tender and the asam fish was very nice. After our chicken rice lunch , we went to look for Asam Laksa. I like the Assam laksa in this stall. I didn’t take a picture of the stall because the road was too crowded and too many cars. So i grabbed it from google image. 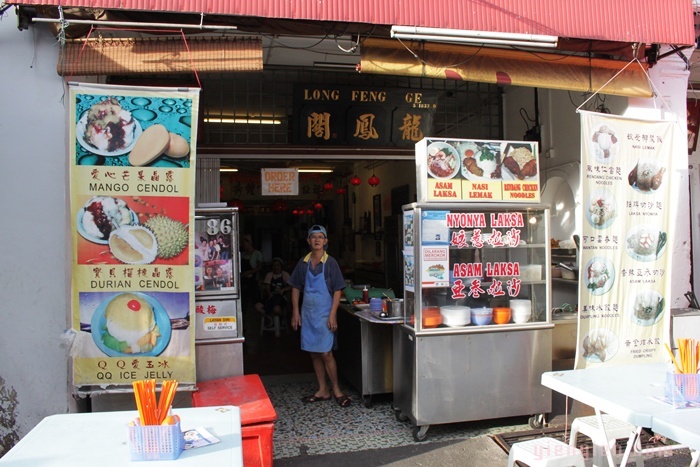 It is located beside the popular Jonker 88 durian chendol shop which has a long queue. 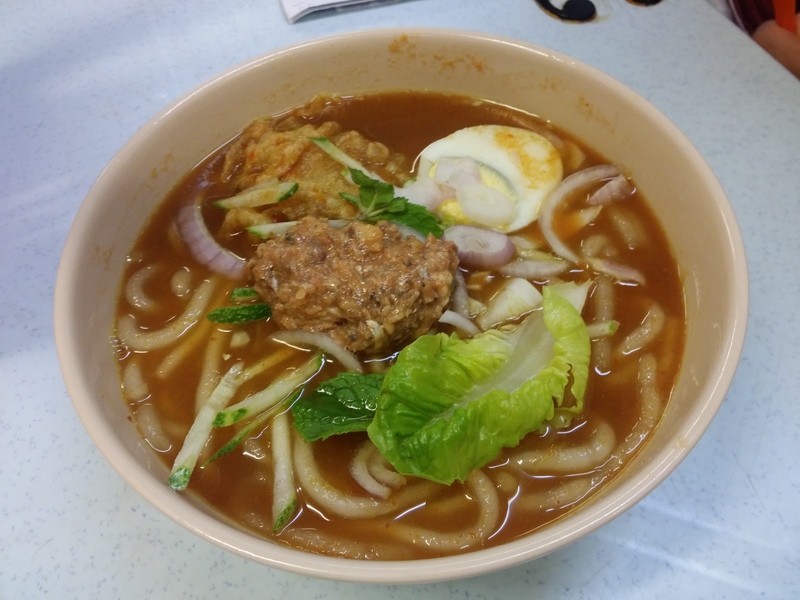 We had our Asam Laksa 2 days in a row over here. After the laksa , we hanged around Jonker walk buying Coconut milk shakes before going to a nearby shopping mall to shop and back to Jonker walk for foot massage and dinner again. 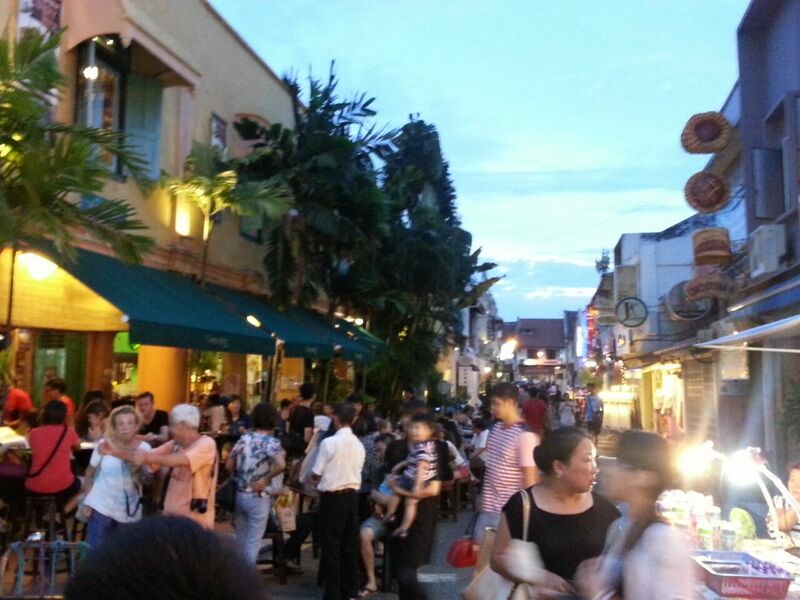 Nightlife at Jonker Walk during the weekend. Ahh , should have eaten proper dinner. 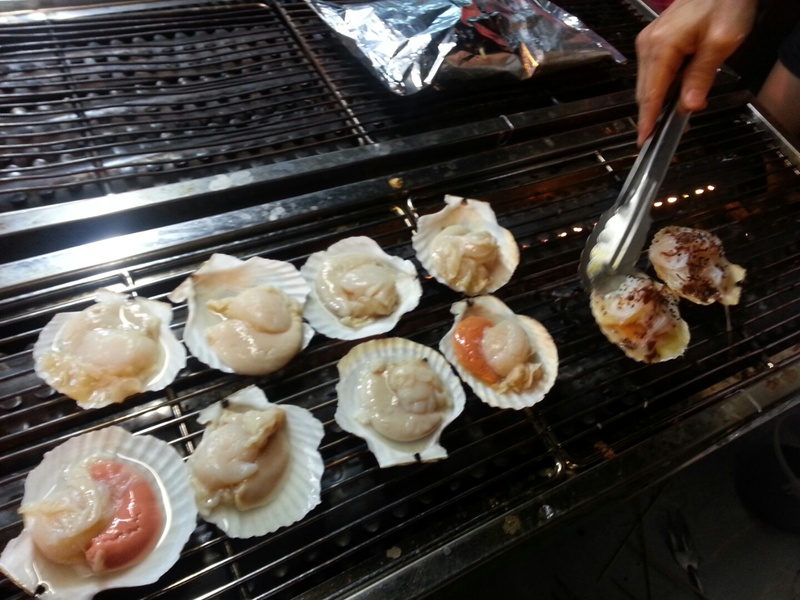 Should just walk along the streets at night and enjoy street food. I love this carrot cake and i resisted it because before that i ate alot of street food along the way. 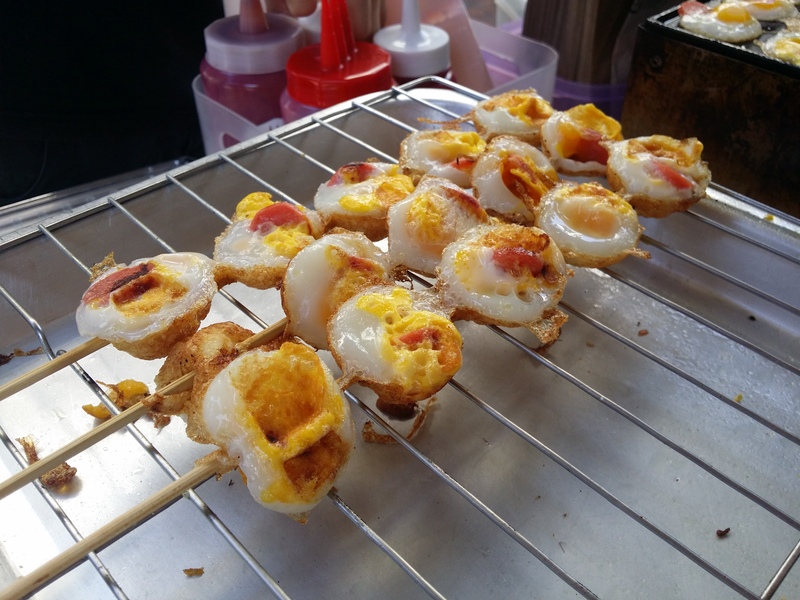 MYR3.50 per plate with plentiful of eggs and cai po ( radish ) . 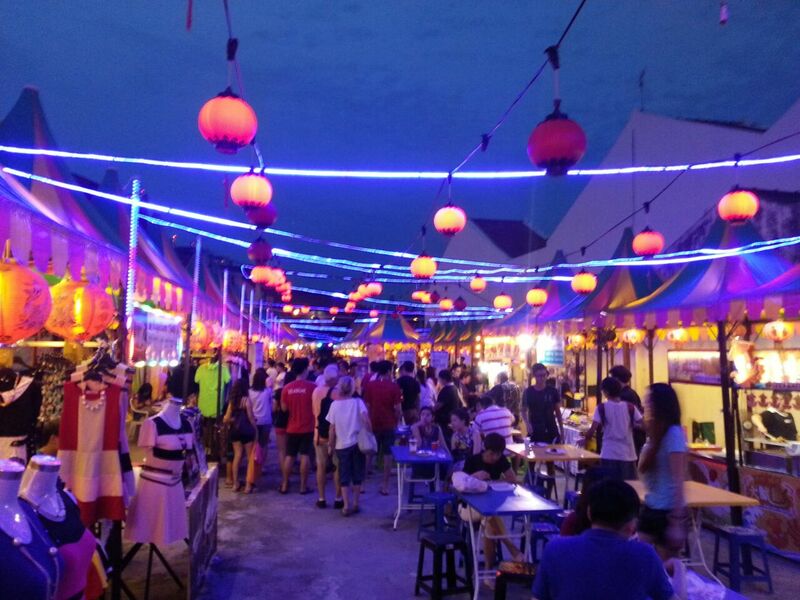 The street next to Jonker Walk was filled with road side hawker stalls where you can eat Penang Laksa , Penang Cha Kway Teow , Nonya food and seafood. 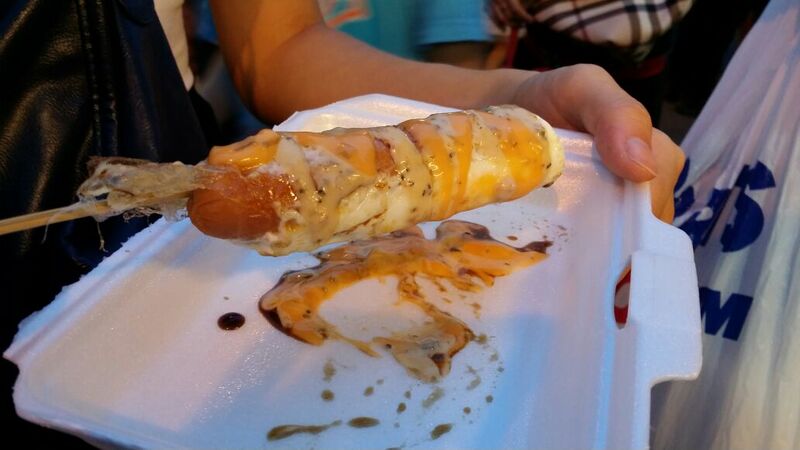 Hotdog wrapped with fried egg topped with mayo , mustard and chilli sauce. Only MYR 3. 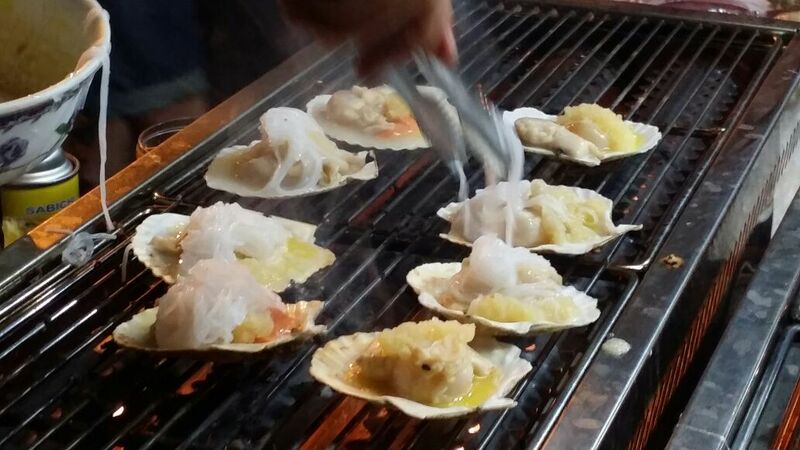 Hokkaido scallops topped with garlic , glass noodles , sesame sauce and butter. 4 for MYR30. And we bought durian puffs , dao sa pia and pineapple tarts back home. 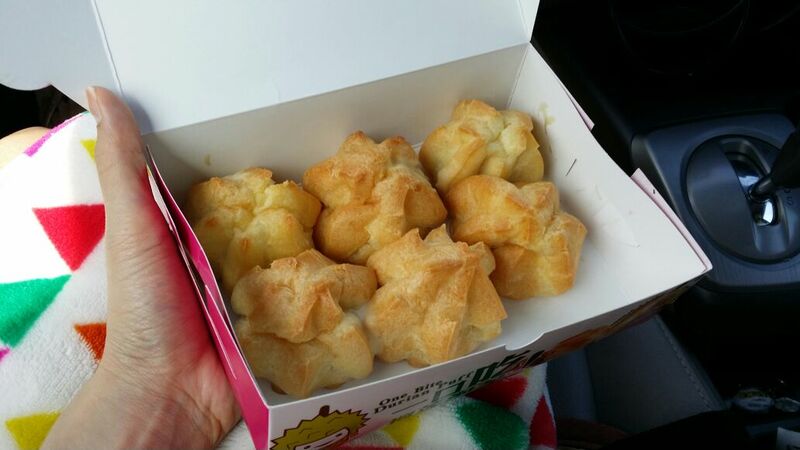 My dear Mr Shin knocked out in the car because of the durian puffs. Need to train him to eat more durians liao. A rare moment. When i asked Jiaying to take couple shoot for us and he did this. He doesn’t like to do all these in front of other people usually. LOL the typical manly Busan guy. But this time was an exception. Well i guess he really enjoyed this trip and thanks to Bryan for being the only driver because the rest of us couldn’t drive. It was a great trip with Jiaying , a customer turned friend since 2009 and a friend i treasured alot. She bought cupcakes and travelled all the way to my house during my most down moment of my life to cheer me up till late night. After we arrived in JB , we shopped at KSL . Bought alot of stuff from Watsons because it is very cheap and they are having discounts. Sasa was having discounts too and i got K-palette eyeliners for only MYR26,75 after 10% discount (the limited edition one) and after conversion it is less than SGD 10. Oppa bought alot of eye care and contact lens solutions too. Loreal shampoos were going for 2 bottles at MYR32. I want to get eye lash extensions , hair colour , treatment and mani/pedicure done there but we didnt have the time to. 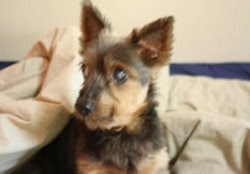 Will be going back there again for a grooming session. 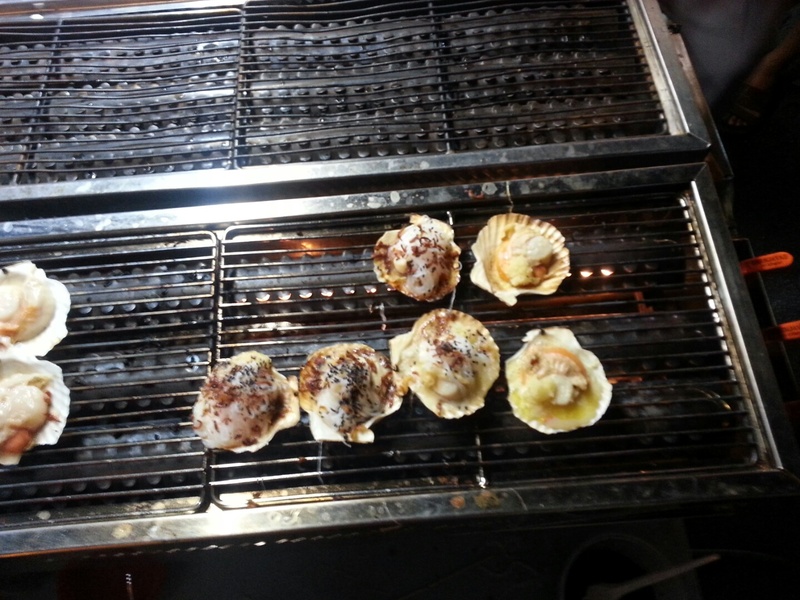 We had dinner at Kimdo Seafood Restaurant. It is a tze char place. The boss was very humorous and nice. We ordered so much for only MYR150 which includes a plate of large salted egg tiger prawns. Wanted to order satay and BBQ wings but the queue was very long. It is just opposite Plaza Sentosa and beside the restaurant is a big Eu Yan Sang shop. Many people and alot of Singaporea cars. But becareful of your belongings and car. Alot of beggars came to our table when we were eating so do watch out for your belongings. Can’t wait for another double date again. We should take a plane , coach or ferry to somewhere next time so there won’t be only just 1 driver which can be very tiring. I was thinking about jotting down my personal thoughts here but i decided to hold back till everything was confirmed. There are 2 major event in my life and i can’t wait to share but i don’t want to jinx it . Heh. Here are some pieces launching tomorrow at 9pm and they are my favourites. Taken by a young photographer Chrystal and you wouldn’t believe that she is only 19. Not out for fame but only for her hobby and interest in photography. Don’t judge a person by their age. You never know what potential they have. I wore this grid skirt to work. The back dip dress was worn as a top tucked into a contrasting trumpet skirt which is side dipped. This dress is super dreamy and nice. I love it because it is so breezy and i just pair it with sandals and a tote out. The dress has a longer back and shorter front. The dress looks short on the model but when i wear it , it ends mid thigh. Her height is 179cm and i am 166cm. Comfortable length for me to wear it out without “zao geng” for me. It is 33 inches long. <Aug15> – 15% off min purchase of 2 items. <Happy50> – 50% off SALES items. This entry was posted in Malacca and tagged Malacca.